AV-Comparatives, an independent testing organization, in February 2016 published its fifth annual IT Security Survey focusing on respondents’ attitudes to Internet security. 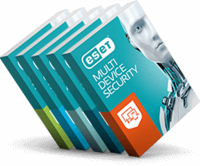 In this survey of mainly IT professionals and enthusiasts, ESET® emerges as the second most popular option in both the desktop Windows and in the mobile device segment. “AV-Comparatives’ annual Security Survey shows how essential the question of Internet security has become and how much attention users actually give to protecting themselves when browsing online. We are very pleased to see ESET products being placed so high in the survey,” comments Ignacio Sbampato, Chief Sales and Marketing Officer at ESET. When it comes to the most important aspects when choosing a security solution, respondents rank ‘Good detection rate of malicious files’ and ‘Low impact on system performance’ highest. “ESET ranked as one of the most popular security solutions in our Annual Security Survey for the second time. We are happy that our tests correspond with the majority of the responses, moreover when 70% of respondents described themselves as security enthusiasts or professionals,” says Andreas Clementi, CEO at AV-Comparatives. AV-Comparatives’ Security Survey also reveals that more than 96% of respondents protect their devices with a security solution and that just under two-thirds of those users pay for their solution.